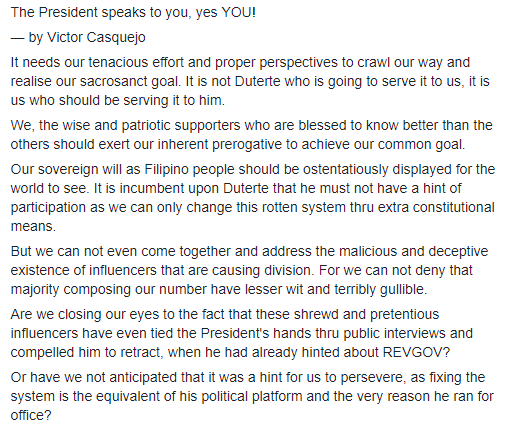 Home / Opinion / Politics / Netizen explains revolutionary government: "The President is speaking to you.."
Netizen explains revolutionary government: "The President is speaking to you.."
Victor Casquejo, a staunch supporter of President Rodrigo Duterte wrote a brilliant masterpiece of his concept that speaks to all Filipino people. Out of the 16 million Filipinos who vote for Duterte, Casquejo was one of them. In his Facebook post, he said that elected President Duterte needs the help and cooperation of all in order for him to succeed in his plans for the country and in order to achieve it, we need all to cooperate. Unlike what the opposition is doing and with his critics as well, they always contradict what Duterte is planning for the country. 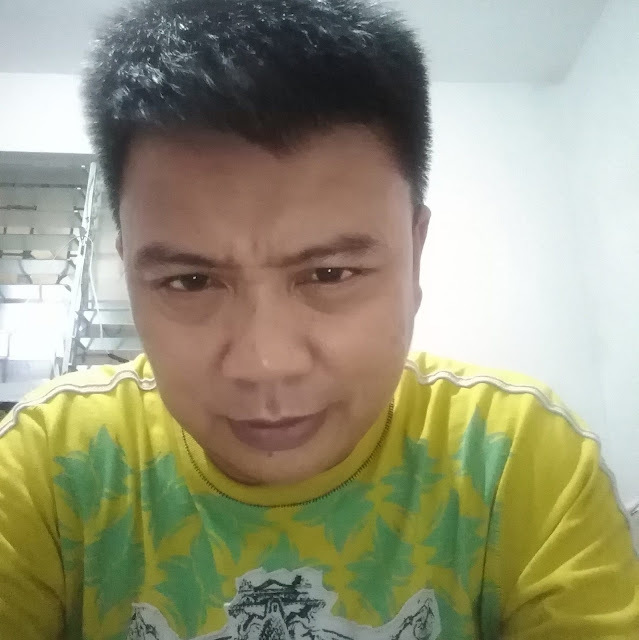 Casquejo said, Duterte needs our ideas and suggestions in order to establish what we all need. Without this, how can Duterte do what he is supposed to be doing for the country. He even mentioned in his post, that many times the President has been declaring he was tired and won't finish his term. But he still holds on to serve the Filipino people. "It needs our tenacious effort and proper perspectives to crawl our way and realise our sacrosanct goal. It is not Duterte who is going to serve it to us, it is us who should be serving it to him. We, the wise and patriotic supporters who are blessed to know better than the others should exert our inherent prerogative to achieve our common goal. Our sovereign will as Filipino people should be ostentatiously displayed for the world to see. 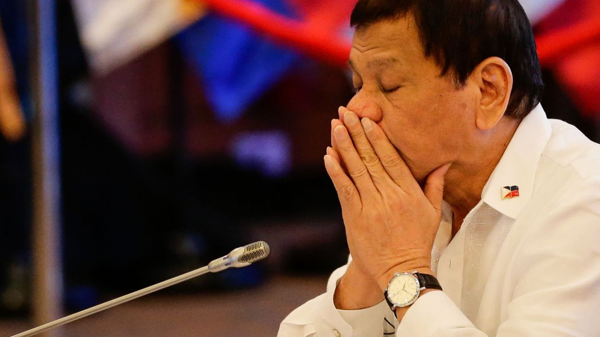 It is incumbent upon Duterte that he must not have a hint of participation as we can only change this rotten system thru extra constitutional means. But we can not even come together and address the malicious and deceptive existence of influencers that are causing division. For we can not deny that majority composing our number have lesser wit and terribly gullible. Are we closing our eyes to the fact that these shrewd and pretentious influencers have even tied the President's hands thru public interviews and compelled him to retract, when he had already hinted about REVGOV? Or have we not anticipated that it was a hint for us to persevere, as fixing the system is the equivalent of his political platform and the very reason he ran for office? When there were times when he has already spoken of the tremedous challenge, and telling you and me that he can not do it alone. When there were times when he had sighed that he may not finish his term of office. When there were times when he had opted to resign as he seems helpless in addressing the inveterate anomaly brought about by a godforsaken system. In case you missed them, it was your President speaking to you. Begging for your attention and adequate action, because he can never accomplish his mission unless we extend him revolutionary powers! Remember, it is ours to extend and for him to declare!"